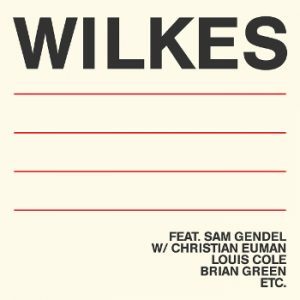 A prominent name in the Los Angeles’ contemporary jazz scene, bassist Sam Wilkes is gearing up to release his debut album entitled Wilkes. It follows the release earlier this year of Music for Saxofone and Bass, a collaborative record with saxophonist and multi-instrumentalist Sam Gendel and is due out on October 5th through Leaving Records. Asked about the record’s inspirations by Leaving’s own Carlos Niño, Wilkes cites an array of innovators including John Coltrane, Pharaoh Sanders, Miles Davis, Milton Nascimento, Alice Coltrane and Brian Eno, amongst others. Wilkes also cites Sam Gendel, Louis Cole and Genevieve Artadi, all three featured on his forthcoming album. The first single Tonight’ is now streaming and it serves as an exhilarating taste of what’s to come. Take a listen. This post was tagged Sam Wilkes.